Social Media is quickly becoming a force to be reckoned with. It seems like every day there’s a new way to send a picture, start a chat, meet new people, tweet, watch a video, share a video, send a video, or just say hi. With such a quickly growing industry, it’s surprising to see just how much these apps, and their browser counterparts, get used in a day. It’s also becoming more socially acceptable to find love, find a job, or even try to start a brand new career through social media. Going are the days where the typical internet user was looked at with disdain. Many years ago, when Facebook was just a thought in Mark Zuckerberg’s brain, he likely didn’t imagine that 700 million users would access the social media site on mobile phones in one day. Or that those users would send out 2 billion likes in 24 hours. Did you know that 3 billion Facebook videos a day are watched JUST on mobile phones? This is a surprising stat, given that YouTube, the premier video hosting website, only boasts 99 million videos being watched a day. The controversial video and picture sharing app, Snapchat, garners 760 million sent pictures in one day. This is the same app that has parents concerned over its privacy, despite the company’s claims that the pictures are deleted forever 10 seconds after viewing. Instagram, the other big player in the picture hosting market, sees 80 million new images uploaded every day. Speaking of pictures, popular dating app Tinder sees it’s fair share of users daily, boasting 1 billion swipes and 26 million matches. Looks like they had a lot more swipe lefts than swipe rights. What’s interesting is that these same figures bloat to 42 billion and 780 million after a month. This shows that the matches actually go UP with time. LinkedIn is sometimes called ‘Corporate Facebook’ to the uninitiated, and it allows users to connect with other business people and network. In just one day, over 1 million jobs are viewed on LinkedIn, with 44,004 people applying for positions. 15 million profiles are viewed. The corporate landscape is changing. 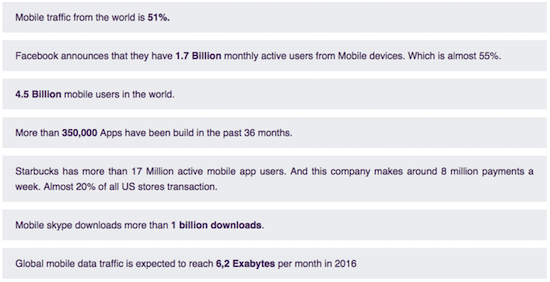 These stats really show just how huge the social media industry has grown, and will continue to grow. More ways will emerge on how to bring people closer together, and more ways to share ideas and connect the world will follow. Feel free to check out amazing real-time mobile data stats by Coupon Machine.